Hello! So I decided to start posting my unboxings for subscription boxes on my blog so I just got my Illumicrate in this month filled with goodies! So here we go! So here’s the first item! A Bare Necessities pouch from Literary Lifestyles! I use these pouches for everything so I’m excited to have another one! Up next is the Flame and the Mist sampler! I’m super excited for this novel so I’m glad to get this in my box! Next is the book for the box! It’s the U.K. Paperback of Wintersong by S. Jae-Jones! I’ve been meaning to read this so hopefully soon I’ll be able to get to it! Isn’t it so pretty?! It also came with a little from the author! Check it out! They also included an ARC for a new release coming in April I think! It’s Red Sister by Mark Lawrence. I think it’s fantasy and it sounds really good so I’m excited to get into it! We also got magnets inspired by A Darker Shade of Magic! They’re exclusively made by Her Bookish Things! There’s also a Magic and Mischief lip balm by Bookish Serendipity Co! So bookmarks were included and I’ll be able to add them to my collection! The Nwet Scamander one is created by Janet’s Tiny Things! I have a few of her items and they’re so cute! Definitely go check her work out! Lastly is the Gilded Cage post card and the signed book plate by the author! That’ll be going into my collection as well! Here is the Packing List so you can all check out where things in the book came from! It has the shop names and the items! So that is my Illumicrate Unboxing! Let me know how you like this kind of post and if you all like it I’ll continue it! I’ll be posting my Owlcrate one soon so stay tuned for that! Thanks again guys! This book sadly fell flat for me. I was really hoping to enjoy it because it was a Snow White rebelling and she’s my favorite princess. Ultimately though I was just let down. I felt that the writing was almost childish and the dialogue felt weird to me. I just didn’t care much about the story. I did enjoy Lorelai and Kol, and I loved Leo. The story follows Lorelai who is our main character and her brother Leo as they live in hiding while trying to get back her kingdom and throne. Along the way we meet Kol, a dragon Prince from a neighboring realm who is suddenly thrust onto the throne after tragedy strikes. 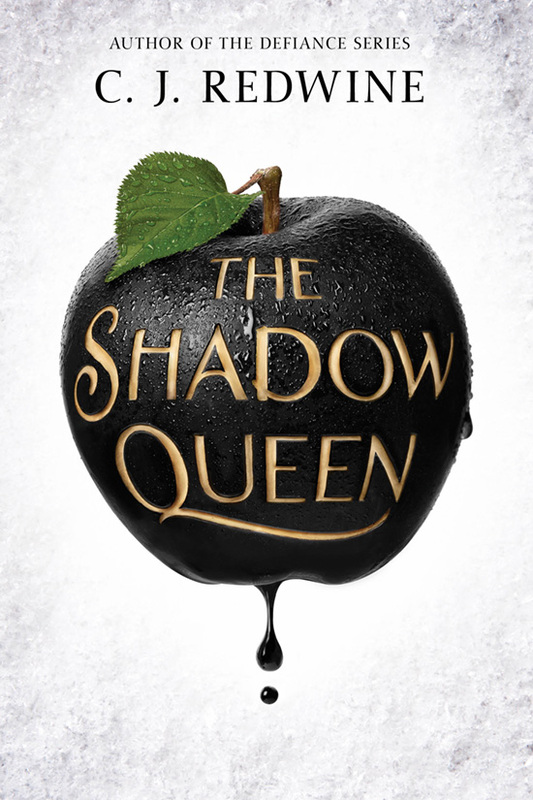 He sets off on a journey to Irina (the evil Queen) to ask for help. His people need food, and so he takes on the position as huntsman to hunt down Lorelai. I enjoyed Kol and Lorelai, although they had moments in the book where things just felt off. I don’t want to say where in the book so I don’t spoil it, but a part of their story just annoyed me. I just wasn’t feeling it. I mean I liked the action at some parts, especially the ending. Although some moments did drag on and I was like “I just don’t care!” But again the ending was good! That fight scene was interesting to read and I felt it added to the story. One character I really liked was Lorelai. She was interesting and badass. I think though I loved her relationship with her brother Leo the most. You really got to see their love and loyalty for each other throughout the story. You honestly don’t see many relationships between brother and sister unless they’re fighting for something. So reading their relationship warmed my heart…even though everything just crumbled to dust. I won’t even mention any more of that because it broke my heart! Literally crushed me. Heartbreak was felt. Another thing about the plot was that it didn’t add up at some parts. Suddenly there were moments where everything was happening, then quiet, then suddenly everything happened again! Drama everywhere! I think at one point I was just like “damn gimmie a break!” But then somehow her magic fixed everything and did so many things as once and everything was fine and dandy again! Those moments were just too convenient and resolved too quickly. I’m probably not explaining that very well so I’m very sorry about that! This plot direction just wasn’t for me in this novel! I think the characters were something I enjoyed but other than that I just didn’t care much. I don’t think I’ll be continuing on with this series. I think they’re standalone companion novels set in the same world. Maybe. I do want to conutine reading her works, mainly because I don’t want to judge her on this book I didn’t enjoy. I hope to read her Defiance Trilogy (is it a trilogy?). I have them on my nook so one day soon I’ll get to it. Definitely give her and the book a shot though if you think you’ll like it. I sadly didn’t enjoy it but hopefully you will! Let me know in the comments if you’ve read this book and your thoughts as I would love to know as usual! I’m so proud of myself! I read two books and some issues of Wicked and the Divine! I won’t get into that since they’re so short but I will get into the books I read. Next I read Secrets of a Summer Night by Lisa Kleypas! I just had an urge to read a historical fiction romance and this was certainly a romance! It was so good! I have it a 4/5! And lastly I finished I’ll Meet You There by Heather Demetrios! I read it in 2 days and wow! It hit me hard! It’s probably one of my new all time favorite books! I loved it! Highly recommend it! Obviously I gave it 5/5 stars and my review will be posted sometime this week! And that’s all the books I read! As I mentioned I did read some issues of the Wicked and the Divine graphic novel but I’m not really going to go into that here. But so far it’s just okay, not like super amazing or anything. Anyways, let me know in the comments what you recently read! I would love to know! Hey guys! So this week has been a really good reading week for me! I’ve read 2 books and I’m almost done with my third! I’m officially on Spring Break! So even though I have homework and work to do, I’m going to try and read some more as well! I want to read Into the Dim and Sparks of Light by Janet B Taylor! 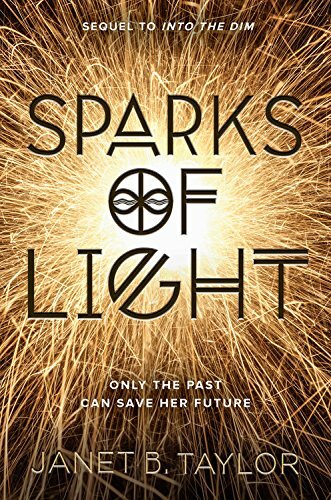 I got Sparks of Lights from the publisher so I want to get that read and reviewed asap! 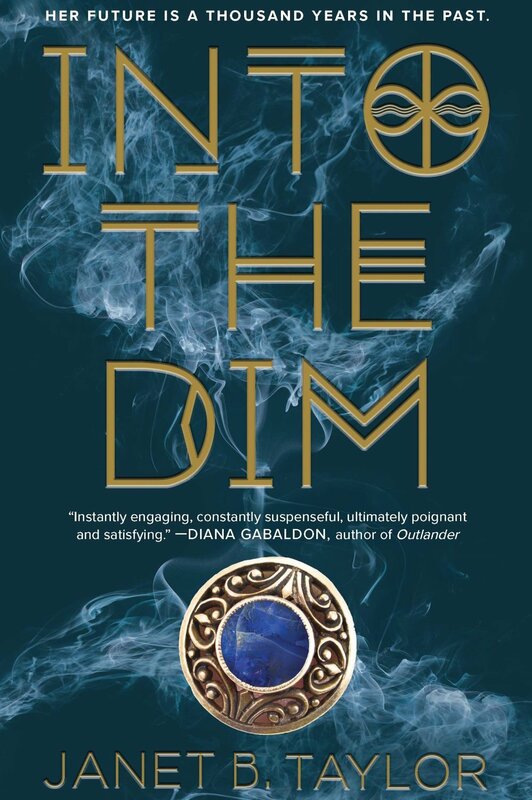 Into the Dim is basically considered a YA telling of Outlander. So I hope I enjoy it and the sequel Sparks of Light! I’ll be sure to update you guys! 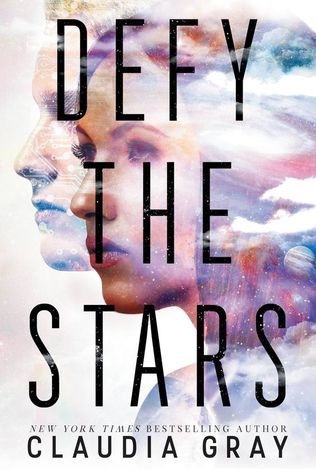 Next I want to try and read Defy the Stars by Claudia Gray! This book comes out next month so I want to read and review it for my blog! Plus it sounds so good! I don’t want to really put any more books on my TBR since I might be kind of busy but I hope I get to read more this week too! Let me know in the comments your TBR for the week as well as the books you’re currently reading as ﻿I would love to know! Hey guys! Sorry I’ve been away for a few days! I just have so many posts written down and then suddenly I get overwhelmed with everything plus the posts and then I just forget! But I thought it would be fun to do a Currently Reading post for the weekend. So I’m in the middle of two books right now. I don’t know why but I just decided to start another! I’m STILL reading Crown of Wishes. I don’t know why I’m not getting through it. I like it a lot! I’m enjoying it and the writing is amazing! But yeah I just don’t know. I plan on finishing it by Tuesday since that’s when I plan to post my review. But anyways. 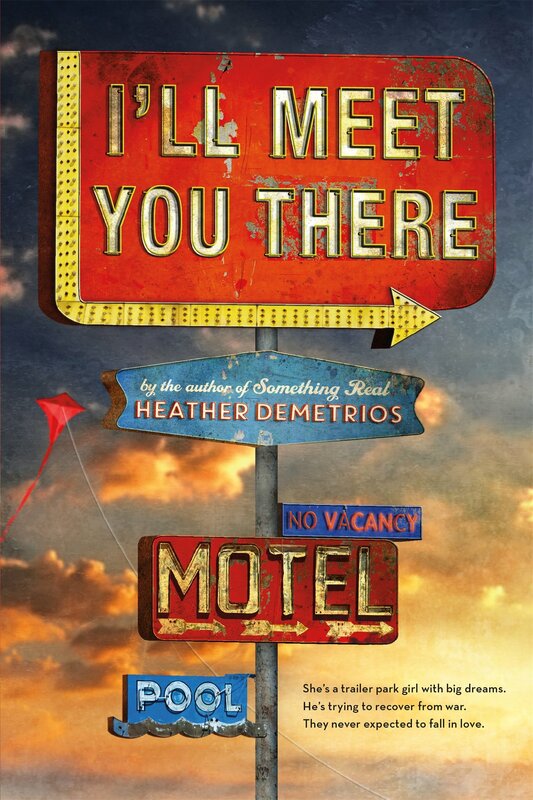 I also decided to randomly pick up I’ll Meet You There by Heather Demetrios! So there’s that! I’ve always wanted to read it so I hope I enjoy it! Let me know in the comments what you plan on reading this weekend and what you’re currently reading as I would love to know! Marked for Revenge is the sequel to Marked for Life, so I won’t go much into the summary. It does take place 6 months after the first book ended, but does involve some aspects of the previous case. I was sent a finished copy early by the publicist so thank you for sending me a copy! I actually liked this book more than the first one! This story just got more complicated and intense and I couldn’t put it down! I literally didn’t know who the leader was, and wow! I was shocked at that ending! It was so so good! Again you’re following multiple POV’s throughout the course of the novel and the case. This case trying to find out who is responsible for the drug mules. Normally I have issues following so many POVs at once but this time I didn’t mind it and I felt like everything that was happening was important to the plot! Jana again is one of my favorite characters, she is just smart, intense, and you can’t help but get sucked into her drama. I also enjoy reading about her dark past, because she’s so involved in what’s going on and no one knows it! And that ending…wow!!! I did not expect it! My mouth dropped open and I just…!!! I feel like I should’ve expected it but I didn’t. I would think it was one person but then something would happen and it wouldn’t be so I’d be like okay never mind! Emelie is just an amazing crime novelist and I throughly enjoyed myself while reading it. I never read books set in Sweden besides this series so this was a fun trip there! I also liked that she wrote such complex storylines so very well! Because the drug mule aspect was only one part of the plot, underneath was a whole web of issues and other things going on. I hope there’s more in the series because I want more of the characters! I want more Jana, Henrik, Per, and just everyone! Highly recommend this series and author! Let me know in the comments whether you’ve read this novel or not and your thoughts as I would love to know! Hey everyone! So last week was a really bad reading week for me! I only read one book and one graphic novel. School and work have been really busy, so I go home and end up sleeping! But this week I really want to do better! I don’t now if it will since my goal is to get most of my stuff for my papers done that week and for my online class so I can more or less relax during my spring break and read! This TBR will probably change but I’ll update you during and at the end of the week! The first book I want to finish is Crown of Wishes by Roshani Chokshi. I had started it last week and was reading it at school but I just never got to finish it because I had other things at school that I had to finish! I’m almost 200 pages in I think so I’m sure I can finish it in a day or two! The next book I want to read is Duels and Deceptions! I again had this on my TBR and did not get to it. It seems really cute and short so I feel like I could just get through this in another day or two…then again I’ve been so busy with school! The next book I want to read is once again The Cabin! I still haven’t finished it! I’m so close to being done with it! I just need like 100 more pages! I hope I have time to get to this one! And I think that is all that I have solidly planned for this week. If I read more I’ll be sure to let you know as well! What are you planning on reading this week? Let me know in the comments as I would love to know! Hey everyone! So yesterday was super busy so I didn’t have a chance to post this TBR but here it is anyways! Here are the three books I hope to read this week! 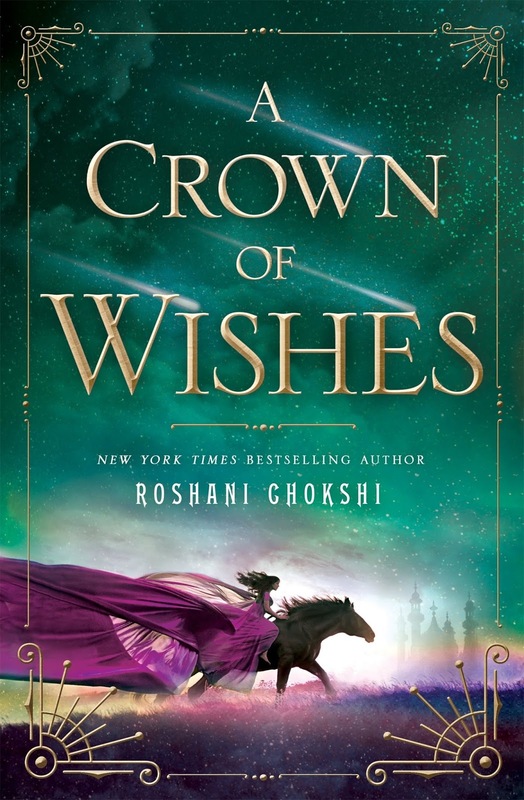 This one I’ve already started and it’s A Crown of Wishes by Roshani Chokshi, who is the Author of the Month for my blog! This is the sequel/companion novel to The Star Touched Queen which I read last year and really loved! This novel follows Mays’s sister Guari and the Princes Vikram as they compete in the Tournament of Wishes! So far is really good and I hope to finish it in the next day or two! 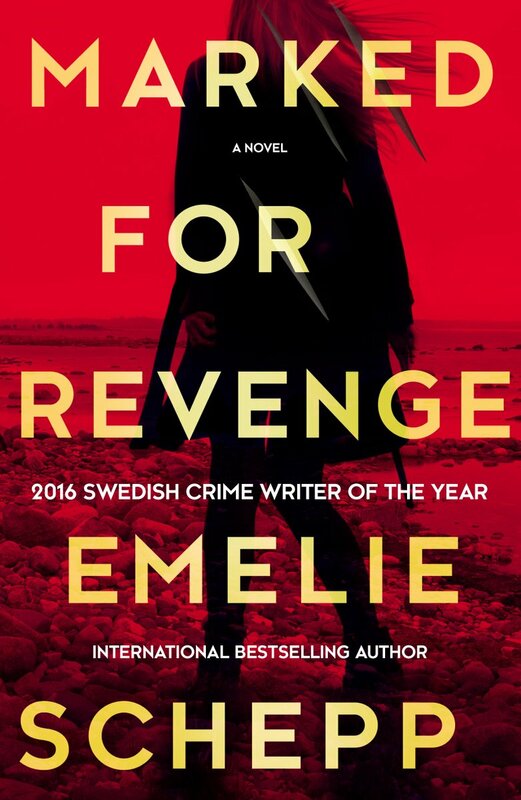 Next up is Marked for Revene by Emelie Schepp, which I was kindly sent for review by the publisher! I’ll be posting my review for this as soon as I finish it! It’s the sequel to Marked for Life, and it’s a crime thriller series that was originally published in Swedish I believe! I read the first one this time las year and loved it! 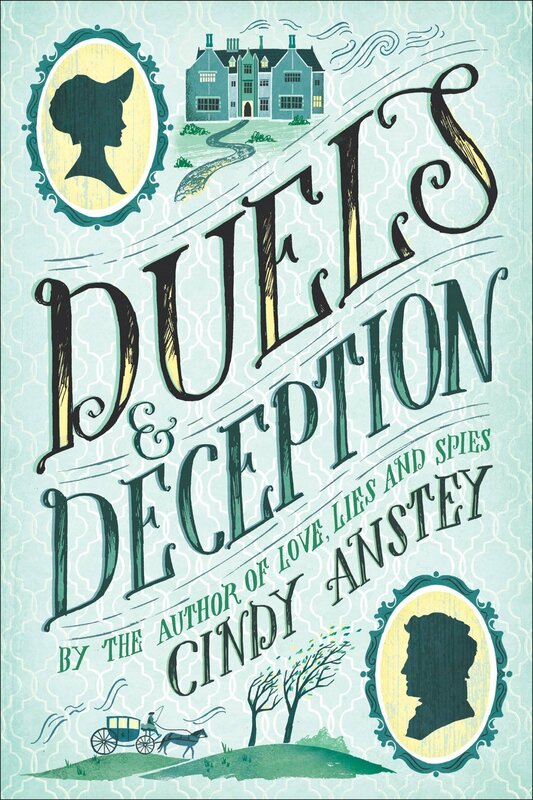 The third book I plan on reading is Duels and Deception by Cindy Anstey, which is also an ARC I got for review! I haven’t read a book by her yet but I really hope I enjoy this one! It looks cute and fun so I really want to read it! I hope to finish these three this week and maybe get through one more but no idea if that will happen. If I can get through another book I would like to read I’ll Meet You There by Heather Demetrios. But I’ll let you know in my wrap up how that goes! Let me know in the comments your thoughts on these books and what you plan on reading this week as I would love to know! Wow! Just wow!! I loved this book, maybe even more than the first book! It continues a few months after the first book ends, and goes into the heart of the danger in the royal palace. It’s filled with action, drama, and magic that sweeps you off your feet! I just had so much fun reading this book! Amani was so much better in this book, and I really enjoyed reading from her perspective. She’s a very brave woman, and can really hold her own against everything going on around her. I think just seeing her question everything she thought she knew what what she experienced in the palace, her inner turmoil; it was all just really interesting to read about. She just developed in this book, taking the information she had first hand of Ahmed and hearing his father’s thoughts about him just tore at her. I loved it! I also liked reading her interaction with the Sultan through out the book, as well as her relationship with Jin and her friends grow. Her interactions with Shazad were so sweet, and I loved their friendship! It just made me so happy reading it! Jin of course was so cute, for all his faults. But I think that’s what made him so human and so realistic. Overall I wish he had been more involved with the story because reading about him and Amani was just too cute at times. Again I loved reading their interactions! A character that we got to see more of was the Sultan! I thought he was so very interesting and cunning! You really never knew what he would do because you would think one thing then he would do another! And his way of thinking was just crazy! He was one of those people that you didn’t really know if he was a bad guy or good guy. He seemed I have aspects of both at times. I really hope we get more of him because I need it…I need to read more about him! His history was interesting, and just what he did throughout the book kept me hooked! Overall I loved this novel! Probably one of my tops this year! Highly recommend this series if you haven’t picked it up yet! Definitely give it a go! Let me know in the comments your thoughts on this book and if you’ve read it as I would love to know! Hey guys! Here is my first Weekly Reads post in a while! So let me show you what I plan on reading during the week of 3/6-3/12. 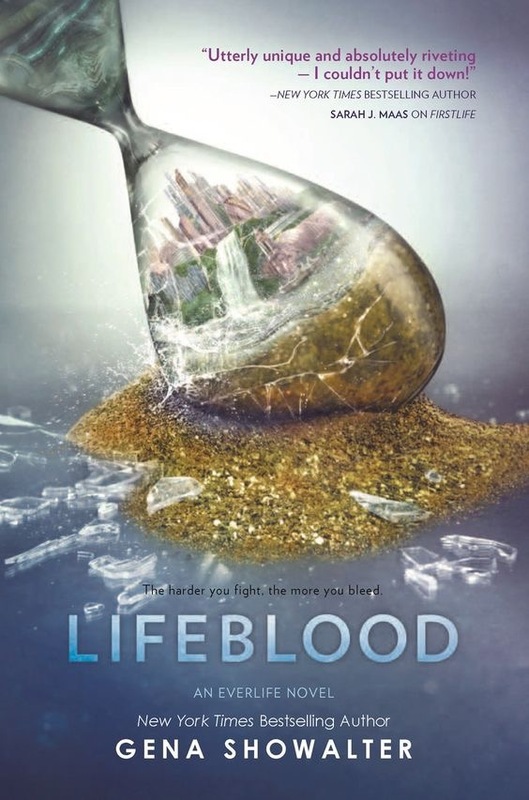 The first is Lifeblood by Gena Showalter. After picking her realm in the Everlife, Tenley must now face the consequences of her choice. Because of her power she discovered in the previous book, the enemy wants her gone. Going up against Killian in a game she’s never played to get a group of humans to join her side, Ten will have to make the choice between love or victory. 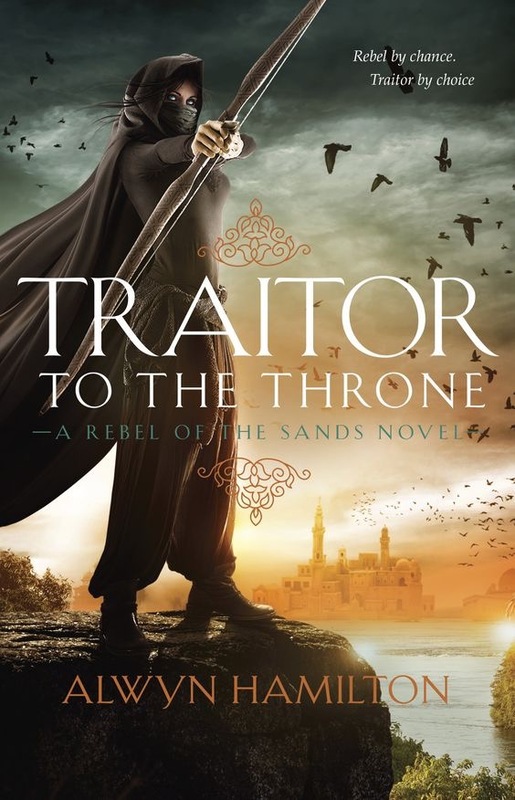 Next is Traitor to the Throne by Alwyn Hamilton. After going the rebellion with Jin, she is not fighting to liberate the desert nation of the bloodthirsty sultan. When she is captured and taken to the heart of it all-the Sultan’s palace- she is determined to bring him down. She then starts to wonder whether the Sultan is really the villain, and who the real traitor is. 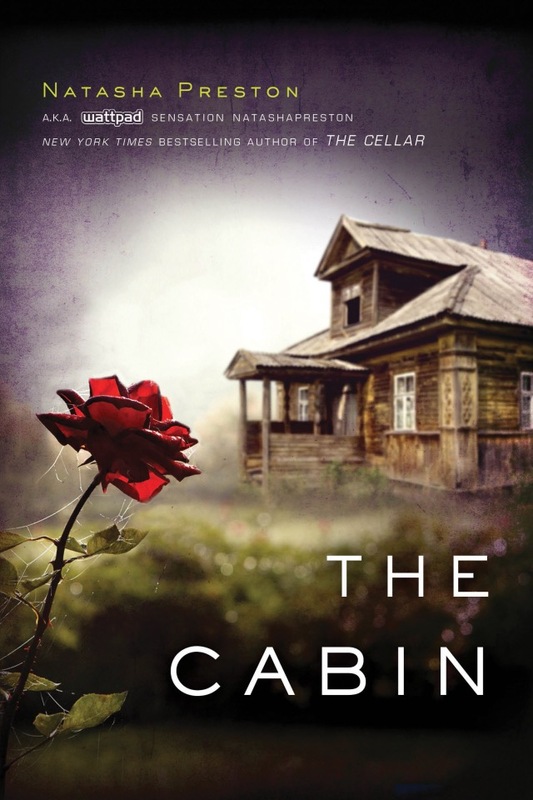 Up next is The Cabin by Natasha Preston. In this novel, Mackenzie and her friends go to a cabin of a friend. But after a crazy night of partying, two of the friends end up dead. When there is no indication of forced entry or a struggle, the suspicion turns to the survivors. One of them isn’t telling the truth, and Mackenzie makes the mistake of thinking that the killing is over. 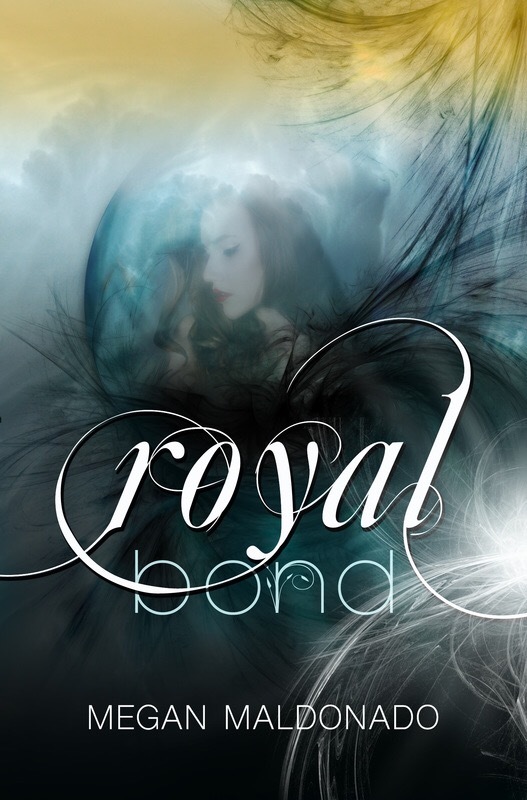 Lastly I want to finish Royal Bond by Megan Maldonado. I started it a couple months ago and I really want to finish it this week since I was sent a copy to review but again never finished it. Best friends since Kindergarten, Sydney and Ryan have been together through thick and thin. After one kiss changes everything, Sydney does her best to sort through her feelings. When Ryan’s lifelong secret is exposed, she is thrust into a world of royalty and magic, where she tries to figure out what is right and what is wrong.